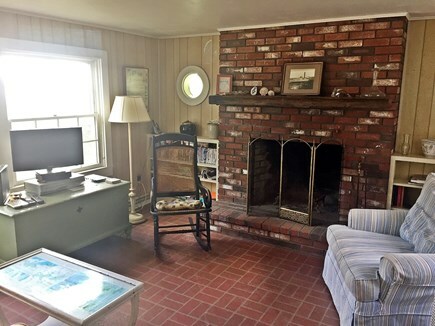 This cozy cottage is just steps from the Dike Bridge and a short walk to East Beach with easy ocean swimming. 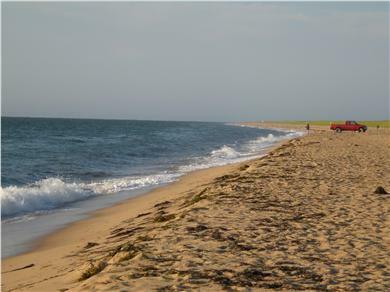 There is access from the yard to Pocha Pond with a small beach, great for kids. 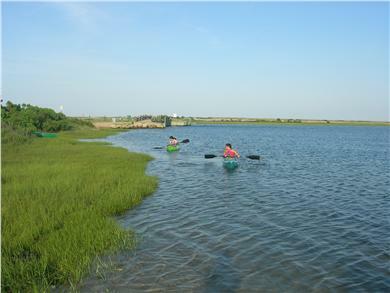 Canoe and kayak rentals are available from the Trustees of Reservations at Dike Bridge. There is a second story deck with sweeping views of Pocha Pond and the barrier beach, also a great spot for night-time stargazing. Short drive to Wasque for stronger waves (caution advised - heed Trustees of Reservations signs). 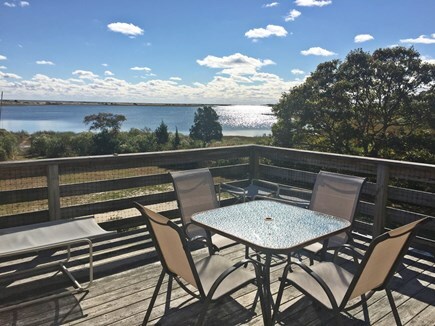 Chappaquiddick Community Center offers swimming, sailing, and tennis lessons, as well as yoga, tai chi, ice cream socials, movie nights and more. Wonderful spot for a vacation with family or friends. Dogs are accepted. 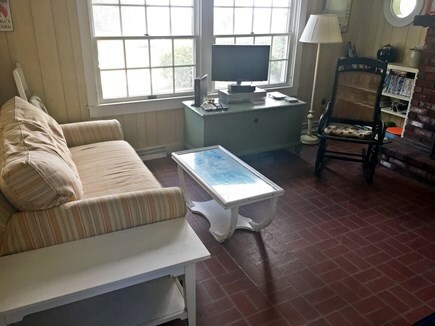 Don't have digital photos of all interior rooms, but house is sunny and cozy, and in a great location for beach lovers! Additional pricing info: $160 cleaning fee additional. Discount for more than two week rental. Refundable pet deposit. State and local taxes of 9.7% will apply. 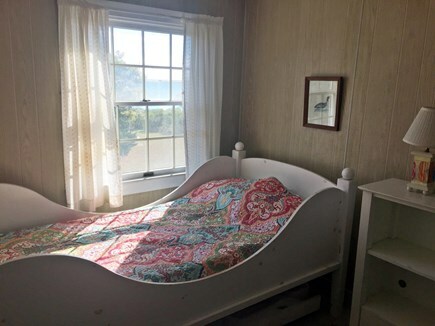 1st floor bedroom and bath, but narrow doorways, and 3 steps up from ground to enter house. What can I say? Paradise! 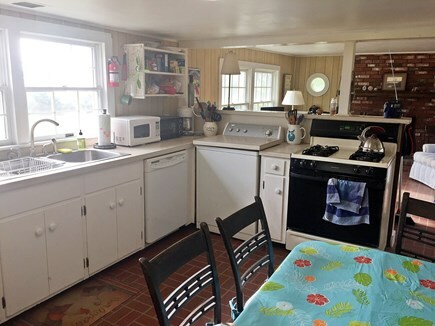 This lovely beach house is about as perfect as one can get. 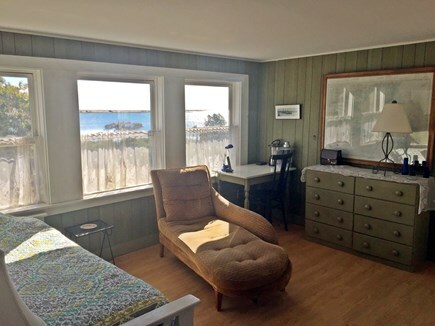 Located just steps from East Beach, the house has everything to make for a comfortable and memorable vacation. 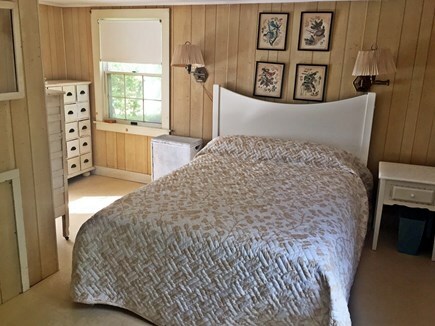 Each room is decorated with unique pieces and comfortable furnishings. And there is plenty of room to be together and to have some private time. The kitchen is appointed with all the modern conveniences one would have at home, making this the perfect home away from home. The deck on the second floor is a treasure. It is the ideal place for morning coffee and evening star gazing. The Milky Way creates a canopy over the ocean and Mars reflects in Pocha Pond. It is truly spectacular. A path to Pocha Pond and a little private beach makes for a great launching point for kayaks. In a word, this place is perfect. Maureen and I have been coming to Chappy for 20 years. 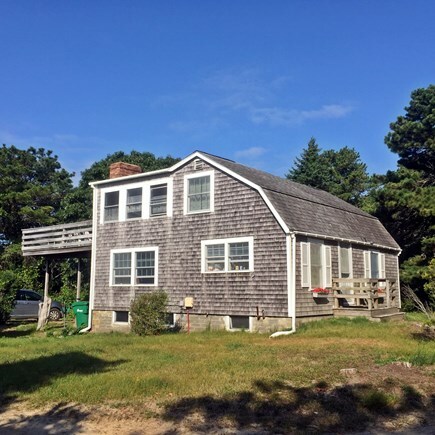 This was our first time at the East Beach property, and we were so pleased. Sylvia made the arrangements go so easily and smoothly. When we arrived, the house was spotless, and beautifully staged. Like the finest hotels, the toilet paper was even fashioned into a rose! The kitchen was stocked with every appliance, pot, and baking need you could want, and we served our meals on the beautiful earthenware. We spent our days kayaking from our private beach, reading on the beach, hiking the many Chappy trails, visiting Mytoi and just plain relaxing. We were excited to observe osprey, egrets and even otters from the deck each morning, all made easier by the binoculars Sylvia had at hand. Our evenings were spent stargazing on the deck, and going down to the beach at night, to listen to the waves and drink in the immensity of the ocean. Paradise! We have rented here for a few years now and couldn’t think of a better place to stay! The house is clean and comfortable for a family of 5. The deck is awesome for catching some sun or having coffee in the morning. Just steps to the best beach on Chappy. Gorgeous views, good fishing and great kayaking. Thanks so much!! You've been great repeat tenants, and it always makes me so happy when people love the house and location as much as we do. It is a very special and magical place.